So what have you been doing since 1968? This blog is about the people of the Class of 1968 at Burbank High School in Burbank, California. If you have news about classmates, teachers, administrators or want to share any newsworthy events happening in Burbank, please use the form under Contact Us at the top of the screen. Got some great memories of Burbank? Send them along! 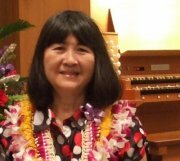 I have been busy as a recitalist, teacher, church and school organist in Hawaii where I have lived since 1973. Some of you may remember that I used to play Burbank High’s Alma Mater at the end of every assembly, and that I played the organ for our Baccalaureate at the Starlight Bowl. I also accompanied a number of Burbank High’s choirs. My husband was a fellow musician — we had been married for 37 years before he succumbed to pancreatic cancer in August 2014. I have one grown son, Stephen, who is married and lives in North Hollywood, CA. Hi Kathy! I see many classmates that I went to school with while attending John Muir Junior High and Thomas Jefferson Elementary when growing up in Burbank…we moved to Orange County so I didn’t get a chance to go to BHS, but with this website, I am looking forward to sharing some fun memories with the Class of ’68!! am terribly sorry for Roger’s loss. Nothing more devastating than losing a child, no matter what their age. I know when my step brother was killed in Vietnam my parents were never the same. Being in the medical field as long as I have I have seen so much loss and death to individuals of all ages. When I was director of Pediatrics at UCLA I saw much that saddened me almost everyday, but then again I also had the opportunity save many lives. After my time there I made the decision to never walk into my house from work with anything in my arms so I could hug my kids as they ran up to me. I have kept that habit throughout their lives and now that they are all grown and carrying on with their own lives I still have my arms empty when I first see them. I hope you are doing well Kathy and I have included you and I will include Roger in my prayers. My best to you all. Sorry, I never saw your comment until today, 3 years later……. Thanks for your kind thoughts…..